Vipassana "Mindfulness" Meditation — The Contemplative Life. Vipassana, also often referred to as mindfulness or insight meditation, is a form of Buddhist meditation in which one strives to non-judgmentally observe their present moment experience. This type of meditation is derived in large part from the Satipatthana Sutta, which is a discourse attributed to Siddhartha Guatama, The Buddha. 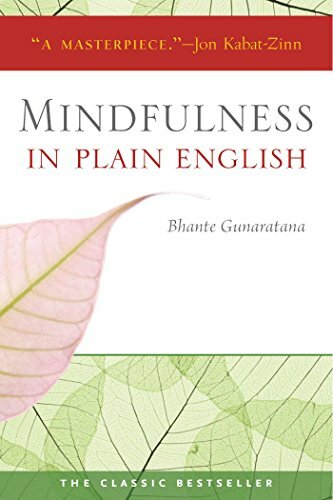 Right Mindfulness is the seventh branch of the traditional Buddhist Noble Eightfold Path. To begin vipassana, the meditator takes a traditional posture, usually either the Burmese lotus, half lotus, or full lotus pose. If these positions cause significant discomfort, the meditator can simply sit in a firm chair. The most important part of any pose is to have a straight back and put the body in a "relaxed but attentive" position. Body position affects the mind, and a position that is too relaxed or too stiff can cause difficulty. Once seated and settled, typical instructions are to begin by following the sensations relating to the breath. One point of focus for the attention is the sensation of the air passing through your nostrils and on your lip as you breathe in and breathe out through the nose. Another potential point of focus is the sensation of the abdomen expanding and contracting with the breath. Spend some time with the sensations associated with the breath as the meditation begins. After spending some time following the breath, the goal is to open the awareness to all physical and mental phenomena that arise. This includes the physical sensations of sight, sound, touch, taste, and smell, and the mental sensations of thought and emotion. Thoughts and emotions are treated in the exact same way as any physical sensation. For all phenomena that arise, simply be aware of it, note it, and then be open to what arises next. The state reached using this technique is sometimes called "bare awareness." Some teachers use the practice of "labeling" phenomena as they arise. For instance, when the meditator feels a tingle in their knee, they label the sensation "tingling" and move on. When the sensation of the foot pressing against the floor presents itself, the meditator labels the sensation "pressure" and moves on. The practice of labeling during vipassana is dependent on the teacher. Some teachers will also use guided meditations (see this example from Joseph Goldstein) in which they lead students through a "body scan," or even a "sensation scan" (i.e. in addition to physical "touch" sensations, this will include sounds, smells, tastes, visual phenomena, mental phenomena, etc.). These guided meditations help the meditator realize how much they are actually experiencing at any given moment by having them focus on each sensation separately. Like almost all meditation practices, the instructions for vipassana often differ based on the teacher. It might be best to think of vipassana not as a single technique, but as a variety of similar techniques. The goal that is generally trying to be reached is "bare awareness of the present moment." It is sometimes helpful to use analogies to compare meditation techniques as not all techniques are alike. The following are two popular illustrations of vipassana. Standing Behind the Waterfall: One analogy that is often used to describe vipasanna is that of a waterfall. In the analogy, the waterfall represents all the mental and physical phenomena that are experienced. The sensations of sight, sound, touch, taste, smell, thought, emotion, etc. are constantly streaming, constantly changing. Normally we are "in the stream" (i.e. we don't notice the sensations; we, in a sense, "are" the sensations). The goal of vipassana is to stand underneath and behind the waterfall, watching the stream of phenomena from a detached viewpoint. This "detachment" or "distance" from the phenomena that arise is characteristic of vipassana mediation. Boats on a River: Another analogy that has been used to describe vipassana in comparison to other meditation practices is the picture of "boats on a river." In this analogy, the boats represent thoughts and sensations. In some types of meditation (Centering Prayer, TM, etc. ), the goal is to become a scuba diver and dive deep, to the bottom of the water. In these types of meditation, when one realizes that they get caught up in a boat (i.e. thought or sensation), they swim back down to the depths. In vipassana, the goal of the scuba diver is to get just beneath the surface of the water, and then turn back up, watching the boats as they pass. Thus, in this form of meditation, you are not going "deep within yourself," but simply watching your experiences on a moment by moment basis as they pass. Vipassana meditation is sometimes called Insight meditation, and one of the traditional aims of the practice is to gain "insight" into the fundamental nature of reality – sometimes referred to as the Three Marks of Existence. The Three Fundamental Marks of Existence, according to Buddhist thought (found in the Dhammapada and elsewhere), are dukkha, anicca, and anatta. Dukkha: Dukkha is usually translated as suffering or unsatisfactoriness, and refers to the idea that life is not inherently satisfactory. From Buddhist perspective, there is an element of dukkha in everything. Dukkha is clearly seen in "bad events" – illness, death, etc. – but unsatisfactoriness is also seen as marking positive events, for they will soon pass. More generally, it seems that we are constantly desiring things to make us happy, but when we get what we want, we aren't fully satisfied. We go on wanting and craving. Dukkha is also the First Noble Truth of Buddhism. Anicca: Anicca is usually translated as impermanence. Nothing in life lasts indefinitely and phenomena are always in flux. Life itself is impermanent. Anatta: Anatta is usually translated as "no-self" or egolessness. This is perhaps one of the most controversial of Buddhist doctrines – the idea that there is no "self" – there simply is phenomena. When phenomena become "bundled" we come under the illusion that we are a separate entity. In vipassana, the high degree of focus on actual physical and mental phenomena supposedly leads one to this experience of "no-self." Through vipassana, the meditator is supposed to realize these Three Marks of Existence in their own experience. See the American Mindfulness Research Association (link below) for more on MBCT and MBSR.